Gaming > Game of Thrones > Game/Thrones: Chapter Pack - Calling/Banners Rev. 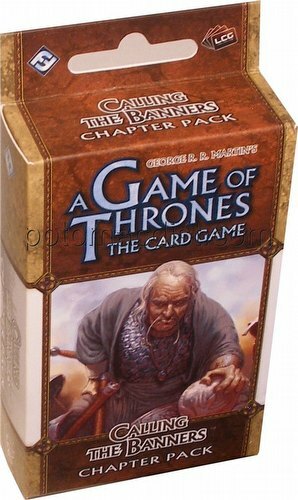 Each A Game of Thrones Calling the Banners Chapter Pack contains 60 cards (three each of 20 different cards). This is the sixth and final chapter pack in the A Clash of Arms expansion.